At The Sterling Hall School, we encourage families to submit applications throughout the year. We assess our JK-SK and Grade 1-2 applicants prior to our Winter Break in December/January. Any applications received after this date will be assessed and considered for rolling admissions. This means, offers of admission are made as spaces become available. For boys in Grades 3-8, offers of admission are made at the end of February. Applications received after this date will be assessed and considered for rolling admissions. This means, offers of admission are made as spaces become available. Our Open House takes place in October each year. Joining us at this morning event is an important part of the Admissions process offering you an informative and informal opportunity to tour the school accompanied by our Grade 7 ambassadors and welcomed warmly by our parent volunteers. Visitors witness wonderful SHS boy energy, meet our superior faculty and visit with Principal Rick Parsons. Come chat with the Admissions team and learn more about Sterling Learning and see Sterling Character and Sterling Community in action. 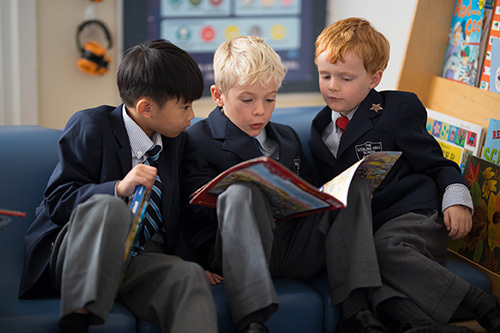 For information about Assembly dates or our Open House please email Admissions at admissions@sterlinghall.com or contact Director of Administration, Kate Sherk at 416-785-3410 x220. We'll see you there! Each autumn, we are one of many schools who participate in the largest school fair of its kind. The Private School Expos (hosted by Our Kids) provides families with the opportunity to speak with our Admissions team and select staff along with other school representatives from across Toronto and the GTA - all in one day all in one location - Roy Thomson Hall.